Restorative dentistry reffers to general dentistry that deals with the treatment of caries and non-carious lesions on the teeth, as well as restoring the functional and esthetic state of teeth. Caries occurs as a result of several factors: host factors (tooth surface, tooth and saliva quality), presence of microorganisms, the environmental factors and the time required for caries development. Requirement for caries development is the presence of dental plaque, deposits of living and non-living organisms which firmly adheres to the tooth surface. Caries is today the most widespread bacterial disease in humans. 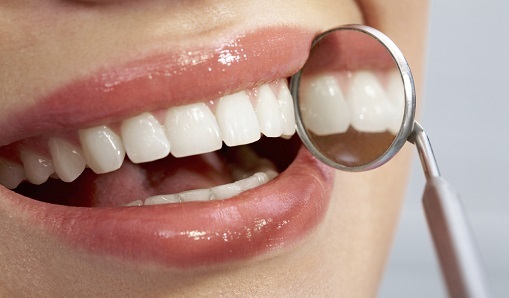 Cavities destroy tooth structure, reducing its quality and worst of all, causing pain. Removing the carious lesions leaves the tooth with a hole that has to be filled with dental filling. If the cavity of the tooth is not properly filled, food sticks around easier and is harder to wash. These teeth are called predilection sites and represent a perfect place for development of new caries.Inadequate oral hygiene leads to the occurrence of caries, mostly on interdental surfaces and in the fissures that are hardly accessible for cleaning with toothbrush. White fillings are composite esthetic restorations of high strength and satisfactory aesthetics, unlike the old black amalgam fillings. Tooth preparation for composite fillings preserve maximum remaining healthy tooth structure but this is not the case with preparation for amalgam filling where better retention for amalgam filling requires the tooth be extensively drilled and enamel substance reduced. In most cases caries is necessary to remove and then tooth has to be filled with material of appropriate characteristics. The most commonly used materials are composites which color corresponds to natural teeth, and have adequate strength for occlusal forces. It is recommended that old amalgam fillings are replaced with white composite fillings because of frequent secondary caries under such fillings and microcracks that have occurred over time. If the tooth decay was extensive and affected a large surface of the tooth it is possible to create a composite or ceramic inlay, onlay or overlay in the lab by a dental technicians. The difference between the composite white fillings and inlays is size: inlays replaces intracoronary part, onlays one or more cusps of the tooth, and overlay all cusps of the tooth. After tooth preparation, dentist takes the impression, the lab technician makes the inlay and after that, the inlay is cemented to the tooth. Some of the non-carious lesions are abrasion, erosion and attrition. Abrasion occurs as a result of unnatural mechanical processes (eg, too much teeth brushing). Attrition is the gradual loss of physiological tissue formed during normal chewing function. Erosion implies the loss of tooth structure due to the effects of chemical agents. With deeper and more advanced carious lesions that have already damaged the tooth, the dentist has to remove the pulp (nerve) to stop further tooth decay and properly treat and fill the tooth root with suitable materials. Endodontics is the field of dentistry that deals with the pathological processes of endodontic space. Endodontic treatment includes pulp chamber and root canals treatment. Root canals and tooth pulp chamber receives blood supply and nerve supply and ensure the health of the tooth. If caries lesion penetrates deeply through the enamel and dentin and reaches the pulp, pulp vitality will be affected. With endodontic treatment the dentist removes the remains of necrotic pulp and root canals are then cleaned, expanded and filled with suitable materials. After endodontic treatment, tooth is then restored with the composite white filling or prosthetic restoration like ceramic crown, depending on the remaining tooth structure. Granuloma is a bacterial infection that is located in the bone around the root apex and it is a consequence of non-treatment of caries. Treatment of granuloma can be resolved in three ways. The first option of treatment is endodontic therapy. If such treatment does ensure the healing and withdrawal of granuloma, there are other two possibilities, depending on the extent of granulomas. Apicoectomy is a surgical procedure to remove the root apex and granuloma. If the granuloma is too extensive, it is necessary to remove the whole tooth which usually leads to successuful healing and withdrawal of all symptoms.